These welcoming and friendly little hostels are ran by Vincent, owner of Aguaventura, a renowned Tourist Agency of Pucon. These cozy chalets from the 60's can welcome up to 34 guests. We provide you with: tourist information, maps, touristic activities, transfer to the agency Aguaventura, discounts in bars and restaurants and free street parking. Located in the quietest neighborhood of Pucon, within the walking distance of the center and the beach, you will enjoy an unobstructed view of the volcano and the majestic Quelhue Mountains. Garden includes: Covered patio, Climbing wall, Pétanque area, Hammock and deckchair, Slack line, BBQ. Cancellation policy: 48 hours before arrival. This hostel may pre-authorize your card details before arrival. These were the most clean, comfortable beds I have ever stayed in at a hostel. The kitchens were incredibly well stocked and the overall vibe was comfortable, mellow, and social. Staff was available and friendly. Perfect place to stay after a day of hiking and being in the outdoors. We had an amazing time at French Andes! The facilities were amazing including new kitchen facilities and a great waterfall shower head. The bunks featured privacy curtains that Velcro, individual lights, plugs and even a fan. Lockers big enough for our backpacking backpacks. The cherry on top was, Vincent (the owner) offered to looked for a jacket we lost for us as we had to leave before we could do it ourselves. He found it and sent it on to our next hostel! 5 stars all around. Loved our stay here - we had a small room w a double bed, clean and secure,great kitchen / communal space that frequently had people reading, cooking, using computers. Quiet at night, great walking distance to center of town (5min). Helpful staff - worked w us to book excursions and airport transportation. Lovely yard, also, overlooking mountains in the distance. The quarters were tight for 2 - eg. couldn't both change in the room at the same time or we would have elbowed each other. Great spot! Great hostel. Friendly helpful staff. Japenese capsules were good! Very clean and comfortable hostel. Quiet private rooms. Cute chill home vibe. Amazing hot showers, comfy capsule beds and good working wifi. The kitchen was pretty well stocked. Lounge and outdoor area was nice to hangout with other guests. Location was about 10 min walk to shops but peaceful area. Be aware photos show two different hostels. The hostel itself is so nice and very clean. The kitchen is really spacious and the bathroom is one of the nicest hostel bathrooms I’ve had! The hostel is nicely situated just out of town (5 minute walk). The staff are all really friendly and helpful. 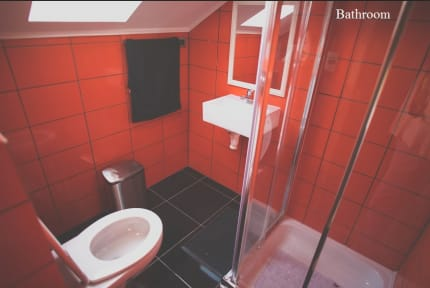 It isn’t the best value for money in terms of the size of the room as it is very small, as was advertised in the photos. But aside from that I would definitely recommend staying at this hostel! Very clean quiet hostel. Comfortable beds with good covers. The staff has very little knowledge of what’s going on around Pucon. They did not know that the national park was closed for camping and neither did the tour company they cooperate with which I think is very poor service. Usually it’s the volunteers that makes a place better and contribute to a good atmosphere, but the people working here are kind of stuck up and seem bothered if any contact with other people than French ones.